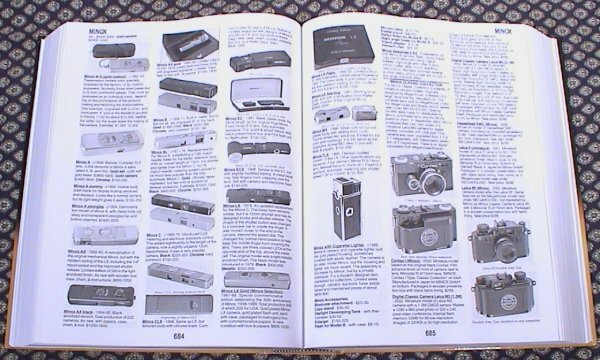 The BLUE BOOK of photography comes out every other year (or so). 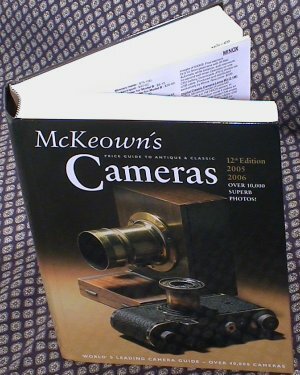 It doesn't have every camera (it's short on cameras after 1970), but it is the most complete list available -- over 25,000 models. The book is large (285x230x52mm) and very heavy. Thousands of black and white pictures, plus descriptions and pricing information printed three columns (so photos are roughly 2" wide). It includes differences in prices for the US and European markets. 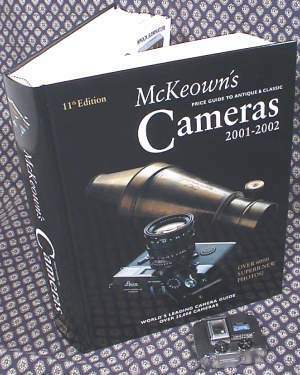 Suggested value is for cameras complete but used and all functions working (5F) and evaluation (11th Edition, Jan 2001 publication) is much higher than typically seen on Ebay over the period 2000-2003. 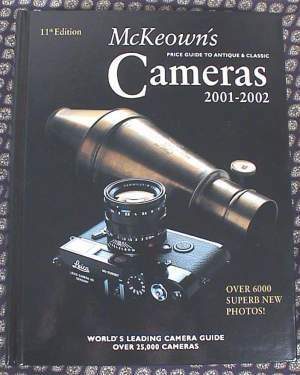 12th Edition 2005-2006 with over 10,000 superb photos and over 40,000 cameras, published 1st September 2004. ISBN 0-931838-40-1. Updated text and prices, still typically higher than seen on web auctions but remains the most invaluable guide for any collector. See http://www.camera-net.com/ for special offers.